If you love git and GitHub, you’ll also love GitHub Pages, for producing websites using Markdown and git: you write pages in Markdown within a gh-pages branch in a git repository; when you push to GitHub, a corresponding site is automatically constructed. 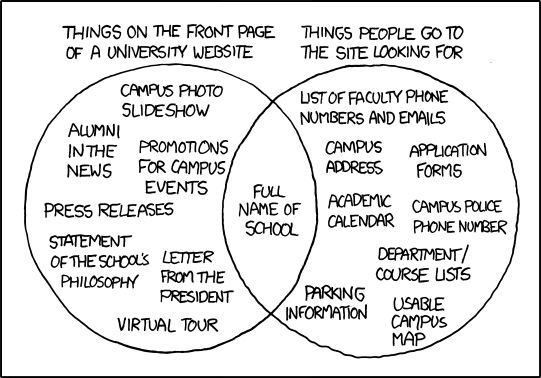 I was thinking about department websites, partly because my own department’s website is terrible, and recently a colleague asked me whether I could suggest some good department sites. I’ll describe the basic principles for a good department website, and then I’ll comment on a number of examples.